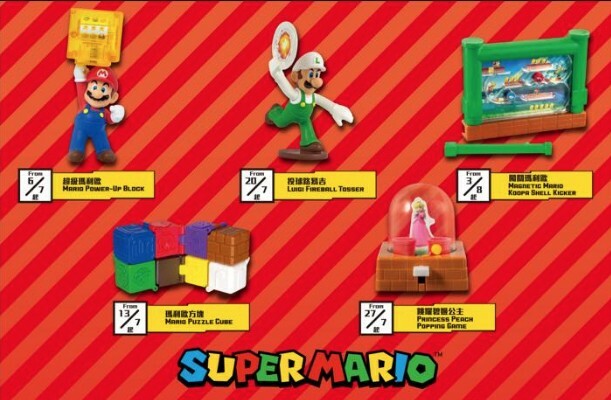 McDonald’s Hong Kong has started offering a lineup of Super Mario toys in locations across Hong Kong. 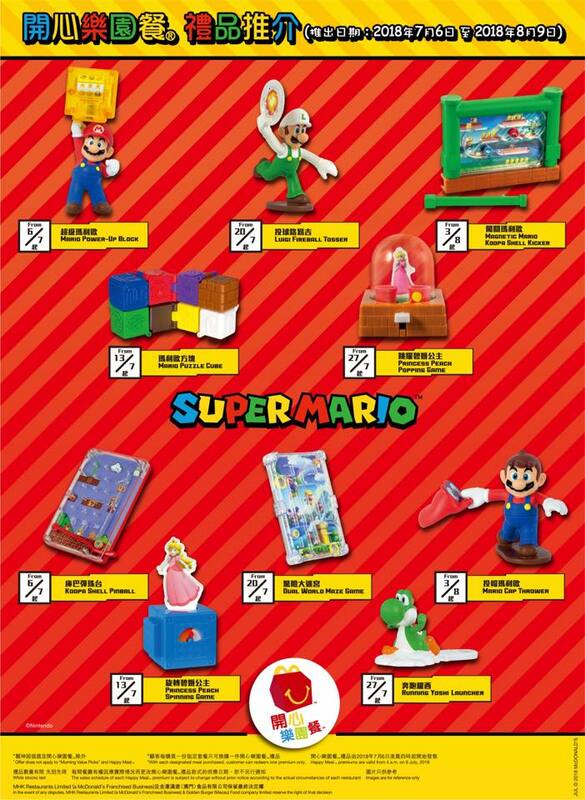 These toys are similar to the ones launching in North America later this month, with the exception of two. You’ll be able to receive one toy by purchasing a Happy Meal at McDonald’s from now till August 9, 2018. And here are the pictures.